Yeah, I have a lot of makeup. 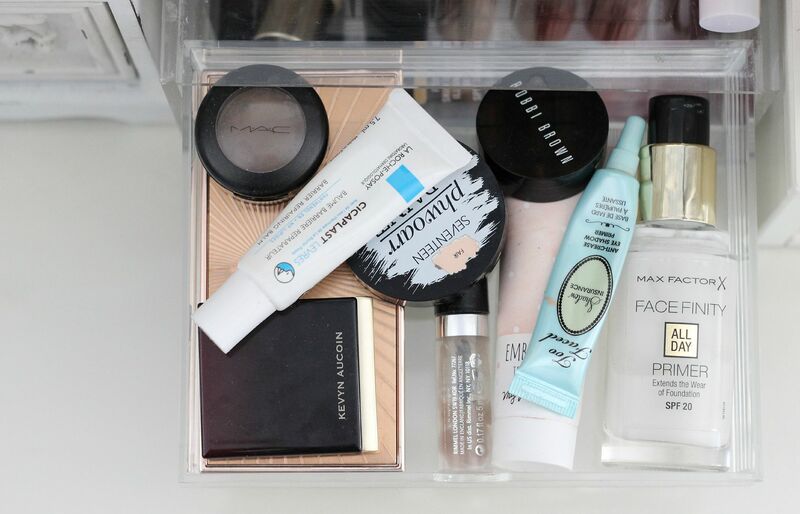 Some of it gets drowned in all the other lovely things I own, so for the things that are used every day, I keep them in mini muji drawers on top of my dressing table for easy access. The majority of this stuff will have been mentioned before, possibly numerous times, and I recommend everything 100%. There is no particular rhyme or reason behind how I crammed everything into the drawers – basically just what fitted where. 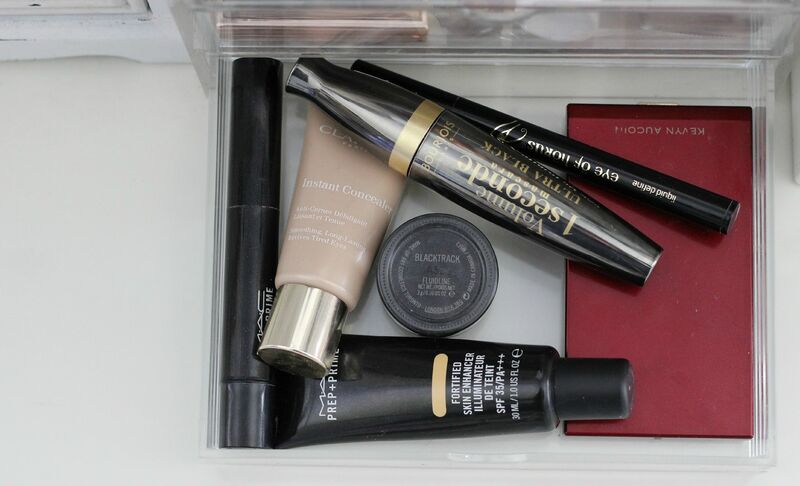 Like makeup tetris. The Max Factor facefinity primer (legit stuff) and the My Little Box illuminating primer are slapped on everyday, as is the MAC fortified skin enhancer in neutralise. 3 products before I even get to foundation… I am so high maintenance. For eyebrows I use MAC charcoal brown and the Rimmel clear brow gel every day. So easy, and takes 5 seconds. The Bobbi Brown corrector in porcelain bisque is OK, I wouldn’t buy it again but I am using it up. The Seventeen Phwoaar paint has an awful name, but is such a good product for blemishes. So creamy but with so much coverage. The Clarins instant concealer is for under my eyes, and is basically amazing. La Roche Posay cicaplast lipbalm is one my all time favourites, and something I use every morning. It really moisturises the lips but doesn’t take an age to sink in. The prep and prime highlighter gets used a lot, too. I have two contouring products – trusty ol’ Kevyn Aucoin, and the Charlotte Tilbury bronze and glow.